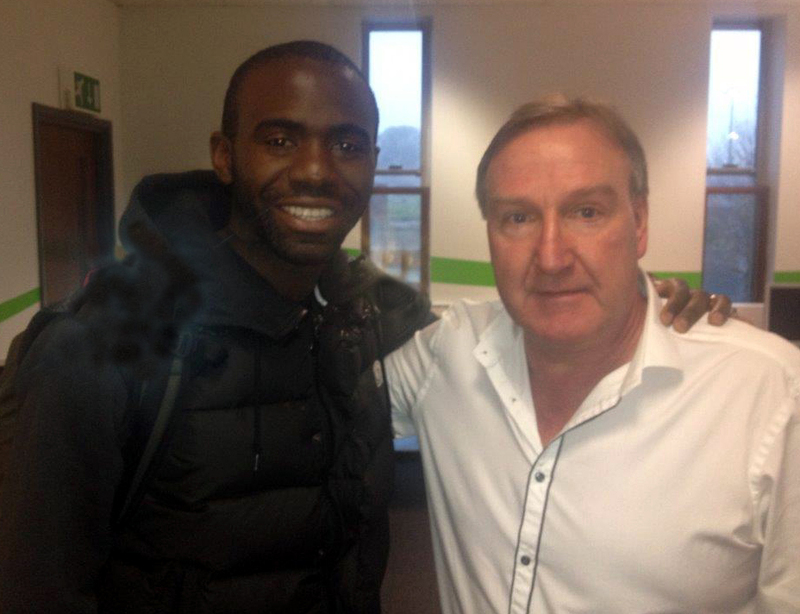 Steve Daley found himself face-to-face with an aquaintance from his recent past when he appeared before past and present footballers on a trip to Staffordshire University. Britain’s one-time costliest player was at the Potteries establishment to answer questions on the present-day Wolves and Manchester City sides as part of a ‘press conference and writing-up’ exercise. The players are on a media course based at Stoke and included Fabrice Muamba, the Bolton and former Arsenal and England under-21 midfielder who nearly died when suffering a cardiac arrest in a televised FA Cup tie at Tottenham early last year. “I met Fabrice once before when I went to do some work at Bolton and it was interesting to see what he’s doing with his time now after having to retire,” Daley said. “He came up with one or two good questions and points – and the time just flew by. The group were keen to ask about whether City have overtaken United as the big force in Manchester and what I thought about Kenny Jackett’s chances of leading Wolves to promotion. The visit was set up by another former Wolves man, Lawrie Madden, who oversees the media course that’s in place at Staffs University for PFA members. Wolves Heroes’ David Instone also went along for the two-hour session, which expanded in the second half into a general discussion about media reporting of football and the relationships between the various factions. Scott Minto, Darren Wrack and Jason Lee are among past students at the uni, where the current crop includes former Wolves youngster Michael Townsend – currently looking for a club following his release from Hereford. “I’m well used to standing up in front of 200 or 300 guests at dinners and trying to entertain them but I was much more nervous about the prospect of doing this in front of a dozen or so people,” Daley added. Such a return will have to be carefully planned as the Daley diary is an increasingly well-thumbed one these days. 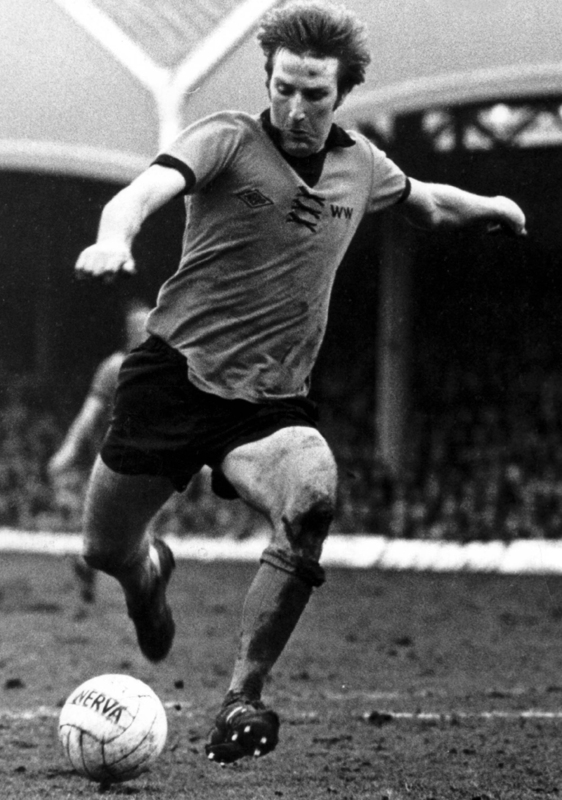 Steve Daley in action for Wolves in the 1970s. Having been named three times as After Dinner Football Speaker of the Year, he is in high demand on the corporate circuit and is on his travels again this weekend. He is flying to Edinburgh for an engagement tonight and, after touching down again in the West Midlands, will be setting off with wife Lyn to appear at a function in Blackpool tomorrow night, when his good friend and former Wolves team-mate Steve Kindon is also on the bill. Daley also has no fewer than four bookings next week – further justification of his decision in recent months to give up his day job. Posted on: Friday, November 8th, 2013.